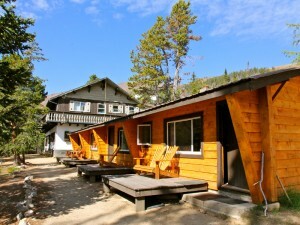 Lakeview Cabin #4 has 4 bunk beds, a small kitchen & 1 toilet. 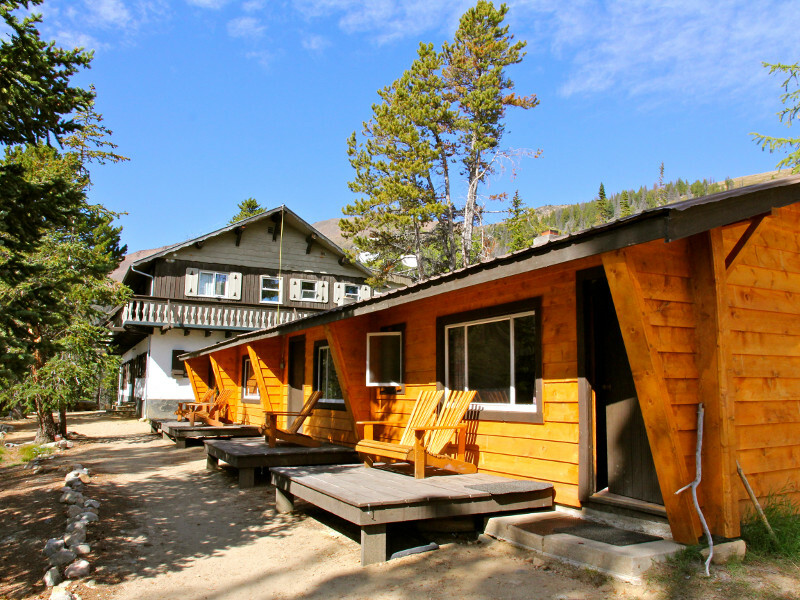 These four adjoining cabins are located beside the lodge facing Quiniscoe Lake. Each Lakeview Cabin has a separate sitting area, running hot/cold water, a wood-burning heater and front porch. Additional washrooms and showers are just steps away in the lodge.